Daniel Krienbuehl Contractors is the premier green building service in Silver Spring, MD. For us, green building is not just about reducing costs – We’re also focused on creating a balanced relationship with the natural environment, taking what nature has to offer and giving back what nature needs to stay healthy. As we partner with clients who share this vision, together we create homes that are both gorgeous and green. Our industry-leading green building services have earned multiple Contractor of the Year (CotY) Awards. 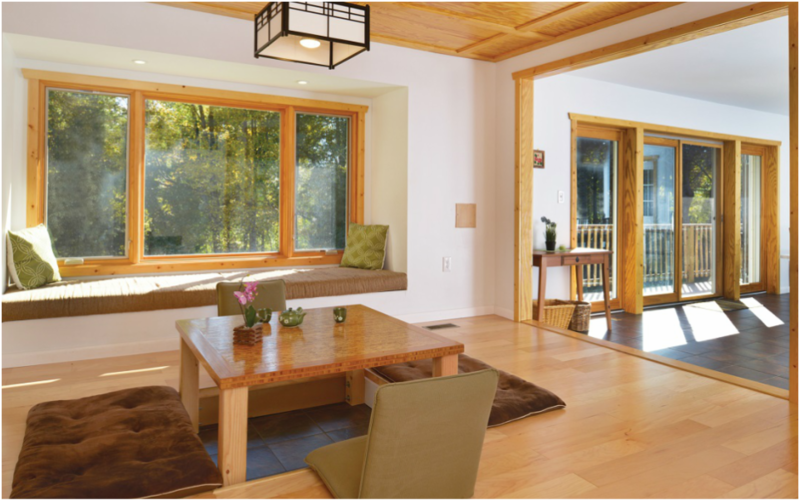 We apply more than 25 years of building knowledge to deliver a streamlined design-build process that our customers love and our experts employ green techniques such as passive solar designs, zoned heating and thermal shutters to create energy-efficient, attractive homes. Daniel Krienbuehl Contractors partners with you to design and build the green home of your dreams. Kitchens – Our in-depth knowledge of the industry allows us to help you to create the custom kitchen you’ve always wanted. Bathrooms – Update or upgrade your bathroom to a space that perfectly completes your home, and pampers those who live there. Additions – Is it time to expand? We’ll design the perfect addition to match the needs of your lifestyle. Basements – Our experts can design and build a rec area, media room, or additional bedroom that will double your living space. Decks – Customize your exterior with an inviting deck that provides outdoor enjoyment and extra curb appeal. Exterior – Enhance your surroundings with an arbor or gazebo. We’ll create the picturesque setting you’ve been dreaming of. Porches – Expand your living and relaxation space with a screened-in porch or three-season room custom-designed by Daniel Krienbuehl Contractors. Whole House – Does your home need a complete remodel? We can use green building techniques to create an energy efficient home with the custom designs you desire. With more than 76,000 residents, Silver Spring, MD has a long history of growth and beautification. We love visiting the bustling Central Business District as well as the well-appointed residential neighborhoods. Our custom services are the perfect partner for the discerning homeowners of this inviting town. Daniel Krienbuehl Contractors is proud to partner with these residents to create green homes that deliver efficiency, save resources, and add nature-friendly houses to the environment of Silver Spring, MD. For more information on green building in Silver Spring, MD, contact owner Daniel Krienbuehl directly at (301) 962-0581 or email him at daniel@dkcontractors.biz.